This isn’t a new topic for America, only a new area of focus. Remember in 2015, when men and women in the armed forces, specifically the Marine Corps, were granted “authorization” to have locs if they keep them “neat and presentable”?! Well now, in 2016, our “right” to be able to wear locs in the workplace is revoked. In September 2016, the federal court of appeals made the ruling to legally allow employers to deny employment to individuals with locs, solely on the basis of their appearance. Previously, such arguments could be made that discrimination against individuals with locs was a violation of equal opportunity laws. However, this new ruling deems locs to be a “mutable characteristic”; which in turn is enough to be the deciding factor between a new job and unemployment— nevermind your qualifications. You can read more about the ruling and circumstances leading up to the decision in the Wall Street Journal article. 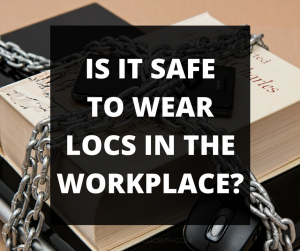 With this new ruling overturning decades of legislation to prevent such discrimination against wearing locs in the workplace, I can only imagine how many people will be in fear for their jobs, and how much more self-identity young black men and women will lose. For the courts to rule that locs are a mutable characteristic is pure bias. 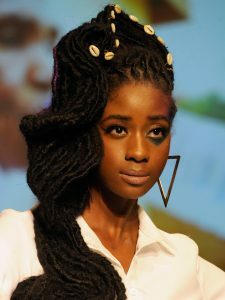 If any person with textured hair allowed their hair to grow freely it would naturally tangle and form locs; whereas if our straight hair counterparts freely grew their hair it would only grow straight down. So essentially we are being conditioned to treat and grow our hair comparable to a person without texture, frankly speaking like white people. As JoyceMD of BlackHairCompass stated in her latest video on this topic, “it seems like the beginning stages of oppression”. From my vantage point, as a Cosmetologist & Loctician, this is a force to silence the natural hair movement that has lasted for at least 10 years now. With more and more women and men embracing their naturally textured hair, relaxer sales down, profits down for major (white-owned) companies in the billion dollar black hair industry this new legislation seems “right on time”. Have you noticed that many people that went natural 5 years, 3 years, many even last month are to the point of “another big chop, relax it or Loc it up”?! I hear it everyday in my salon. And even though pop culture has embraced Afro-texture in media somewhat, it still glorifies long hair and so doing the big chop is less likely for most. 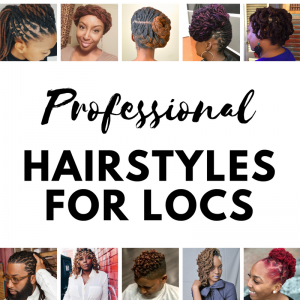 With the new legislation to discriminate against locs in the workplace, it reiterates a long-standing stigma that “locs are not accepted”, and a relaxer (or texturizer) seems to be the “better” option; which goes back to lining the pockets of white America yet again. If we have learned nothing else in these last few years of being black in America, the lesson that stands out the most is how the judicial system was/is not created in our favor. The silver lining in this situation is that the case was only decided upon in federal court (for the state of Georgia) and it can still be argued in Supreme Court for a final ruling— should that matter. 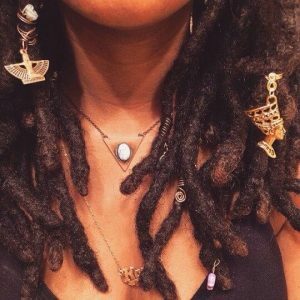 What do you think about the decision to discriminate against locs in the workplace?